NAVIGATION NOTE: Each of the 48 images below are linked to the original posting. 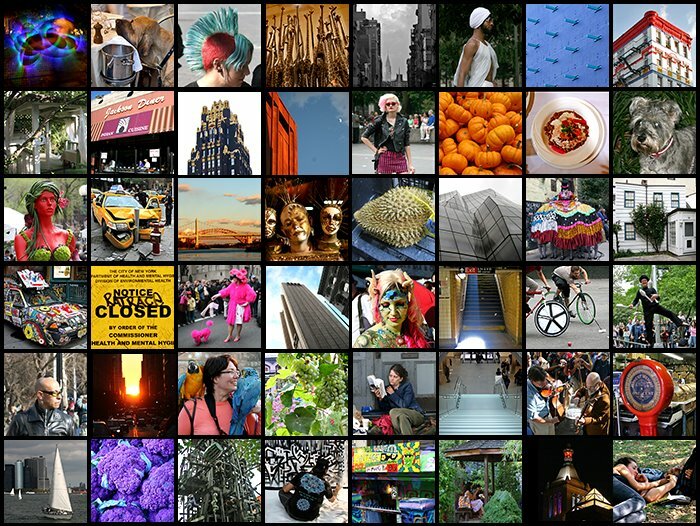 This is the second anniversary of New York Daily Photo - 700 postings and thousands of photos! I have put together a collage of 48 photos from the last year, featuring many favorite postings of mine and visitors to this site. I have tried to span as wide a spectrum in the photo as I have on this website - street life, parades, architecture, food, vistas, art, nature, the unusual, the hidden and whimsical. I appreciate the thousands of visitors and the positive feedback you have given me.